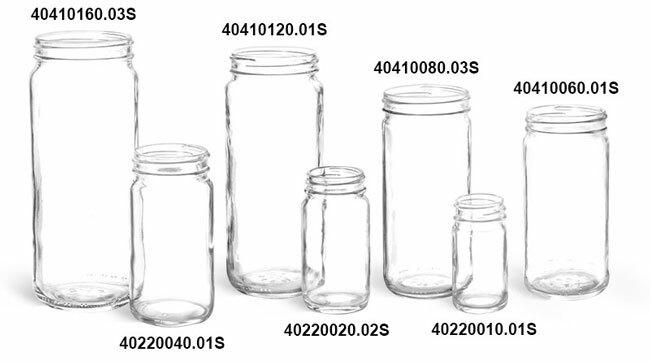 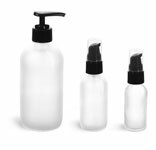 Choose our clear glass paragon jars with white polypropylene plastic pumps. 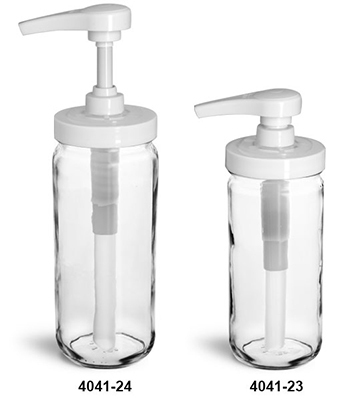 The pumps have a lock down feature to prevent unwanted dispensing during storage and shipment, dispense 4 ml per stroke and can handle high viscosity products. These glass jars with polypro pumps could be used for epoxy and other industrial grade dispensing.